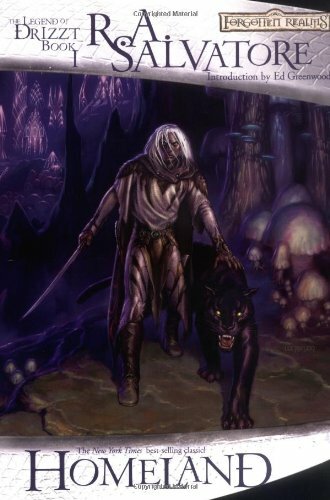 This stunning new release of the classic R.A. Salvatore novel recounts the origins of Salvatore's signature dark elf character Drizzt Do'Urden and is the first-ever release of this Forgotten Realms novel title in hardcover. This title kicks off The Legend of Drizzt series, which will showcase the classic dark elf novels in new, deluxe hardcover editions. Each title will feature annotations by the author, all- new cover art, and forewords written by those who have become familiar with Salvatore and Drizzt over the years.